The Harman Kardon Allure is a more music-focused Alexa powered speaker than Amazon's own Echo. 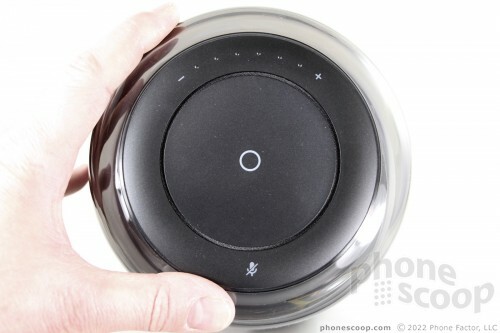 It delivers bombastic sound in a modern enclosure with support for voice commands. 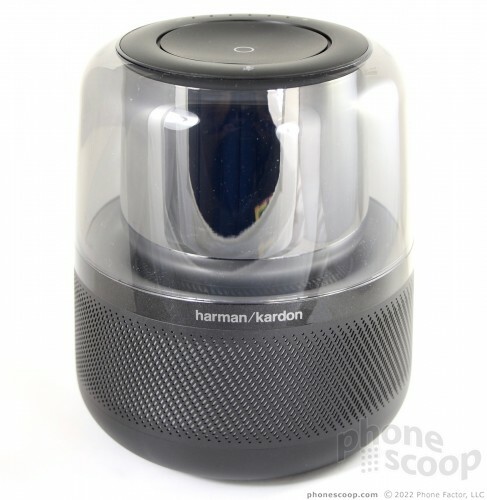 If you want more boom for the buck, the Harman Kardon is an enticing alternative to an Echo. Alexa is everywhere these days. Amazon's voice-controlled personal assistant is knowledgeable, powerful, and omnipresent. It's a shame, then, that Amazon's own enclosures for Alexa sound so awful when it comes to music. The original Echo, Echo Dot, and other Amazon-branded speakers may be responsive and fun, but they sound like garbage, at least to those with discerning ears. A slew of established speaker makers have taken a stab at one-upping Amazon by adding Alexa to their own hardware. 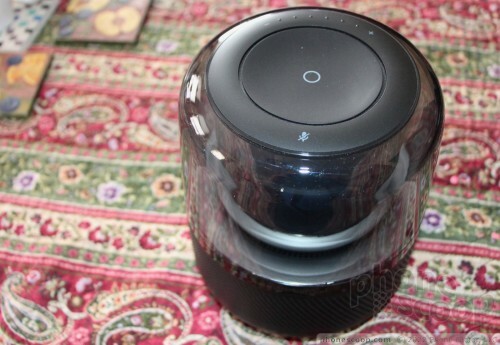 The Allure is Harman Kardon's Alexa-powered in-home speaker for the more music-minded listener. 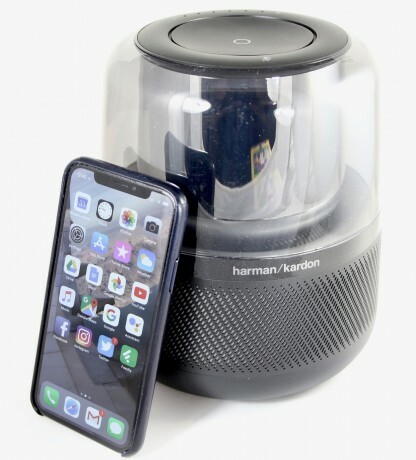 Harman Kardon has always leaned towards the modern end of the spectrum when it comes to design. Some of you may recall the company's jellyfish-like SoundSticks speakers from more than a decade ago, with their see-through plastic casing. The Allure recalls that design with a similar footprint and design cues. The Allure takes a cylindrical shape and is somewhat wider at the base than the top. A clear plastic cone forms the top half while the bottom is solid black with textured plastic wrapping around the waist. The plastic serves as the grille for the three high-frequency speakers that are spaced evenly around the circumference. A bottom-firing subwoofer forms the bottom edge. Small rubber feet keep the bottom surface off the ground just a bit to ensure sound can escape. 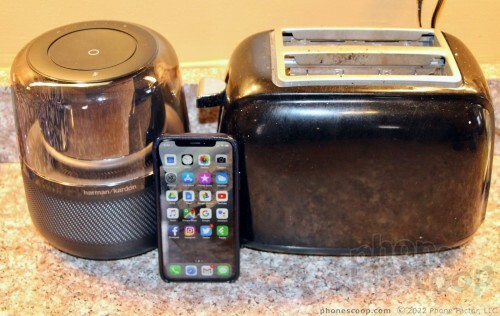 This speaker is best placed on a hard surface. It's a surprisingly squat speaker. The Allure measures only 7.6 inches tall and sits 6.5 inches wide across the diameter. It weighs a whopping 5.5 pounds. The speaker is made of plastics that feel strong, though it stops well short of rugged. This is clearly an indoor product and not meant for travel to the beach or local park. A handful of physical controls surround the rim of the top edge. A large, concave button forms a significant portion of the top. You can press it to ensure that the Allure is listening to you. It also serves to pause/play music. A small, marked button allows you to turn the microphone on or off for privacy, and a secondary set of buttons make it simple to raise or lower the volume. The big main button is surrounded by a light ring that changes color depending on the task or action at hand. The light bounces to the beat of your music and looks wicked cool at night in the dark. A tiny light on the front signifies when the Allure is connected to WiFi. On the rear you'll find a dedicated Bluetooth pairing button. A long press puts the speaker in pairing mode. 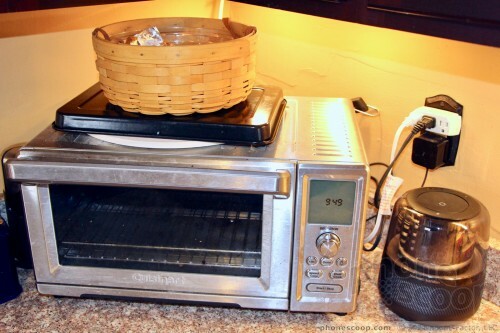 It works flawlessly. Below that is the proprietary input for the power supply. In all, the hardware is simple and straightforward. It's easy on the eyes, and easy to use. I think it can find a space in most homes. Sigh. The Allure needs not one, but two apps to function at its best: HK Alexa Setup and Amazon's main Alexa app. First you need to use the HK Alexa Setup app to get the Allure talking to Alexa Voice Services over your home's WiFi network. The app (free for Android and iOS) is simple and straightforward. It took only a few moments to download/install the app and then get it talking to the Allure. That's a blessing. In terms of sound, HK's app lacks advanced controls for audio playback and other sounds. For example, there is no EQ, nor any other way to adjust sound from the HK Alexa Setup app. You can't you even choose which sounds the speaker uses for alerts and alarms. In terms of smarts, the HK Alexa Setup app provides only the most high-level controls over the speaker, including how it manages your WiFi connection. Once you connect it to your Amazon/Alexa account, you can then turn on/off services such as music, news briefing, and such, but that's it. You can't perform deep-dive Alexa configurations from the HK app; you need Amazon's main Alexa app for that. That means you need to install the Alexa app on your phone in addition to HK Alexa Setup in order to fully manage which music service you use, what sources provide your flash briefing, to enable other Alexa Skills, and the like. I wish the Allure could be entirely managed from a single app. On the other hand, once you've properly set the thing up, you shouldn't need to HK Alexa Setup app all that often. The Allure supports dual-band WiFi. Once configured, it never disconnected from my home WiFi network indoors or near the house. I enjoyed uninterrupted access to Alexa, music, and more. Keep in mind, this speaker needs an AC connection; it must always be plugged in. You can drop it on your back deck if you want to, as long as you have power and WiFi outside. My WiFi network starts to get spotty about 25 feet from my house and I saw rough performance with the Allure at that threshold. No WiFi? Feel free to switch to Bluetooth. The Allure includes a Bluetooth 4.2 radio with A2DP v1.3. I'd prefer to see a more advanced audio codec, such as aptX or aptX HD, but at least basic Bluetooth is possible. With Bluetooth, you can easily stream music directly from your phone to the speaker as you would any other Bluetooth device. The range is limited to 30 feet, which is disappointing for a powered, stationary speaker that could easily support a 100-foot range. Alexa Voice Services are not available over Bluetooth. 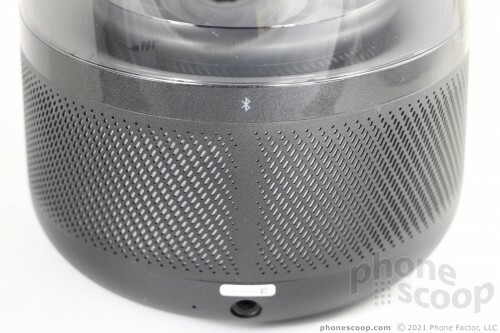 In other words, in Bluetooth mode, this is just a regular Bluetooth speaker, not a smart speaker. The Allure has multiple far-field microphones and pretty much always heard my vocal commands. The speaker was quick to hear my voice and quick to interact with Alexa Voice Services to deliver the results I wanted. As noted earlier, you need to use the Amazon Alexa App to fine-tune which services the Allure offers. When I had everything tweaked to my liking, the Allure did what I asked it to do. As for the sound, I hope you like bass. The Allure is a bass monster. Like, a serious, skull-crushing, air-pushing, eardrum-punishing bass machine. Whether you hide it in a corner or leave it out in the open, it fills your room with thick slabs of sound that resonate with the furniture, the walls, the floors, the ceiling, and more. Everything shakes. It worked great for some Daft Punk, Pet Shop Boys, and other dance-style music I have. If you want to have a mega dance party on Saturday night, this is the speaker for you. If you want to enjoy some vocal, or classical music at modest volumes, look elsewhere. The Allure is not the most well-balanced speaker. Some jazz I listened to sounded a bit thin on instruments such as the sax or trumpet, while the bass and drums were a bit too much. Purely acoustic stuff, like Bluegrass, sounded decent. Rock and metal came across all right, but I would have prefered a bit more bite in the high range. I wouldn't mind the sound so much if you could easily dial back the bass or otherwise adjust sound playback. If you're savvy, and don't mind using direct Bluetooth streaming instead of Alexa, you can use your on-device music app to wrest control over the EQ curve, but even then the impact is less than it should be. There's no question the Allure is loud. It fills most normal home-sized spaces with sound, and delivers an even, 360-degree field of music. Set to its max volume it will quite literally shake things up. The Allure doesn't support multi-room audio, and doesn't play nicely with other Alexa-powered speakers you may have in the house. Shame. 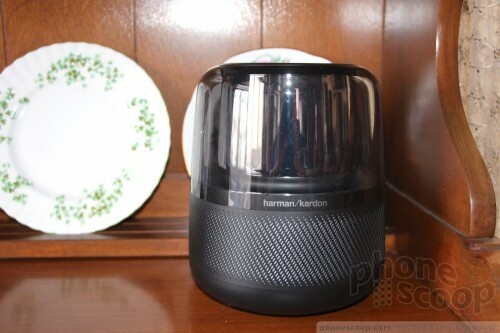 In sum, I'm a bit disappointed with the Harman Kardon Allure. I was expecting great things, and found the speaker fell short in several ways. I dig the design, which is more modern than what's available from Amazon's hardware. It's bigger, but prettier. The Allure has more personality than an Echo. On the flip side, the Allure requires more work to set up and manage than a regular Amazon Echo. This means it isn't as flexible as an Echo, and may lead to frustration for many. The fact that it needs two apps rather than one is definitely annoying. Does it sound better than an Echo? Well, that's hard to say. The Allure puts out more sound and covers a bigger area with music, that's for sure. Where Amazon's Echo speakers often sound flat and muted, the Allure is in your face with monstrous bass. 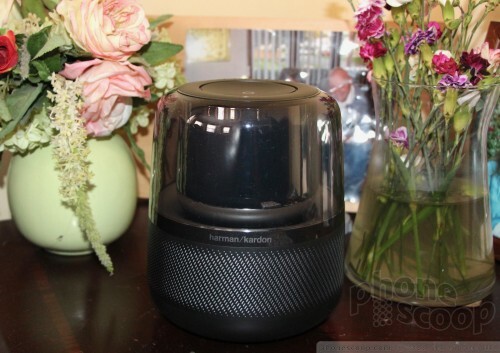 If you listen to music that benefits from a bass-focused EQ, then perhaps the Harman Kardon Allure is what you need. At $250, however, it's a pricey option. Amazon charges $150 for the Echo Plus, and just $99 for the regular Echo. If you prefer ease of use and don't care as much about the sound, Amazon's hardware is the better bet. It you need some thump-thump to go with your jump-jump then the Allure is indeed alluring. 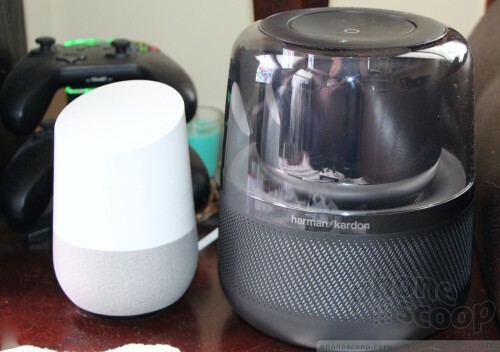 How about a review of the Harmon-Kardon Invoke? So it seems that the H-K Allure is basically "meh". 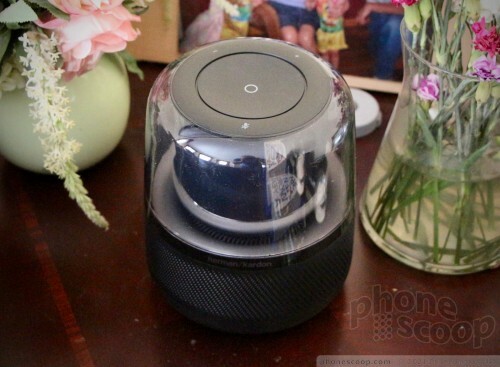 The H-K Invoke reportedly has the best sound-quality of the existing crop of smart speakers. Have you experienced the Invoke Eric? Can you (and will you) review the Invoke? Cortana is a ways behind in terms of connectivity to IoT and smart-home devices, but in terms of being a personal assistant, she's still tops. A comparative review would be nice, if you can get one for review.